In need of some quick and easy projects? I always am! 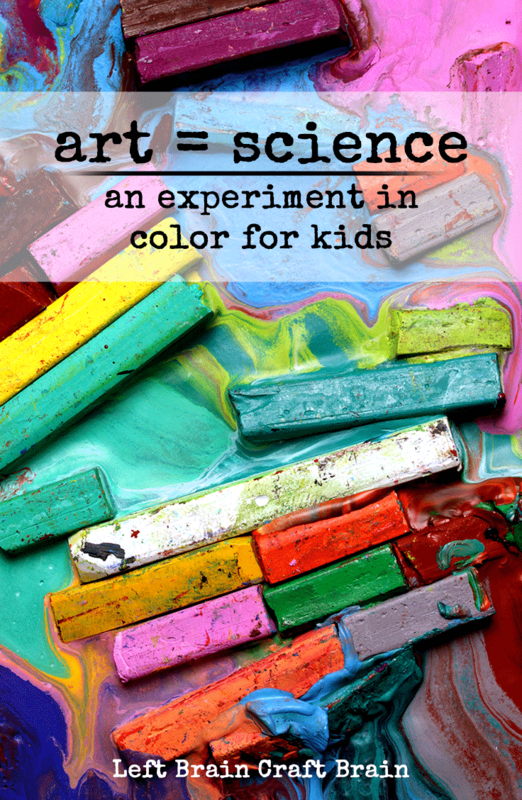 This is a creative science & art project that takes just a minute to set up and teaches kids about some basic science principles. 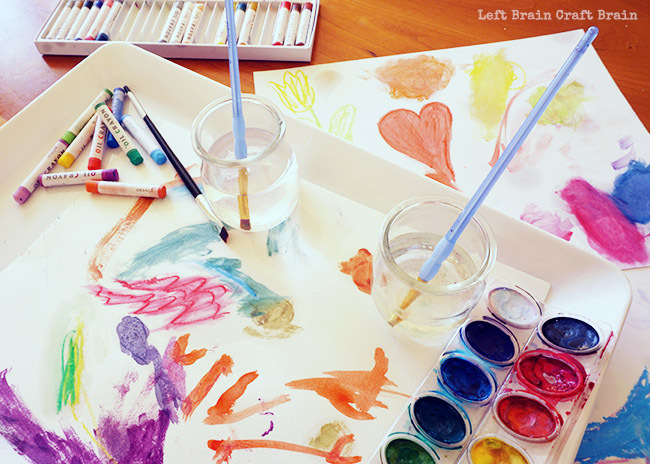 Simply lay out watercolors, oil pastels, water & oil and let their creative learning begin. This post contains affiliate links. First lay out the watercolors and oil pastels along with the water and baby oil. Oh and paper, too. Be sure to put the oil and water in similar containers so they don’t think they are different. Also, I used baby oil because it’s a little less obvious than vegetable oil because it’s really clear. Then don’t give them any instructions at all! Nada. Just step back and watch the kiddos experiment. If you want, you could have them make a hypothesis about what will happen before they start. 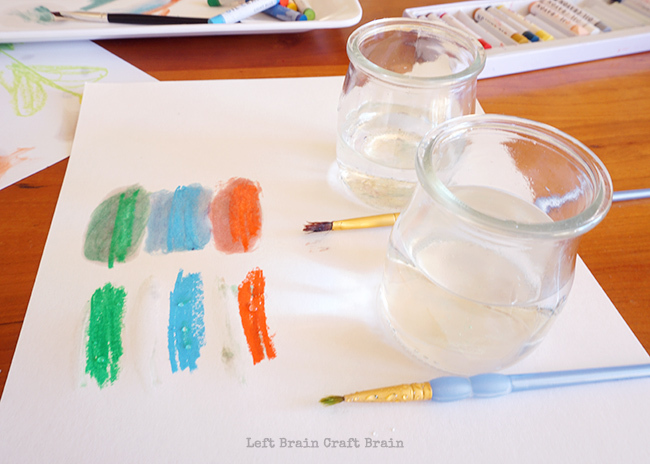 What happened when you used the different liquids on the different paints? What do you think is in the jars? Why do you think they behaved differently? I think what happened literally blew my 4 year old daughter’s mind. Yes, art can be exciting!! Especially when you add science to the mix. So what’s happening? 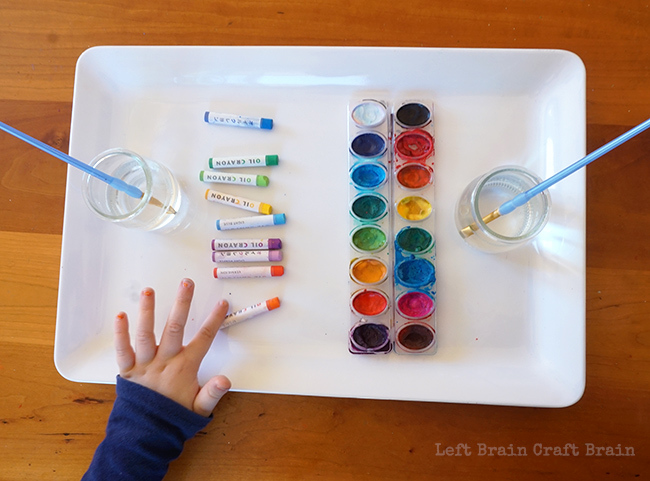 There are a few science principles going on in this creative experiment. The first is solubility. The binder that turns pigment into cake watercolors is water soluble, i.e. when you add water, it turns into a solution. The second is dispersion. Once the binder has dissolved into the water, the pigments can float around in the water, mix and let you paint them onto the paper. Everything You Need for This Project! 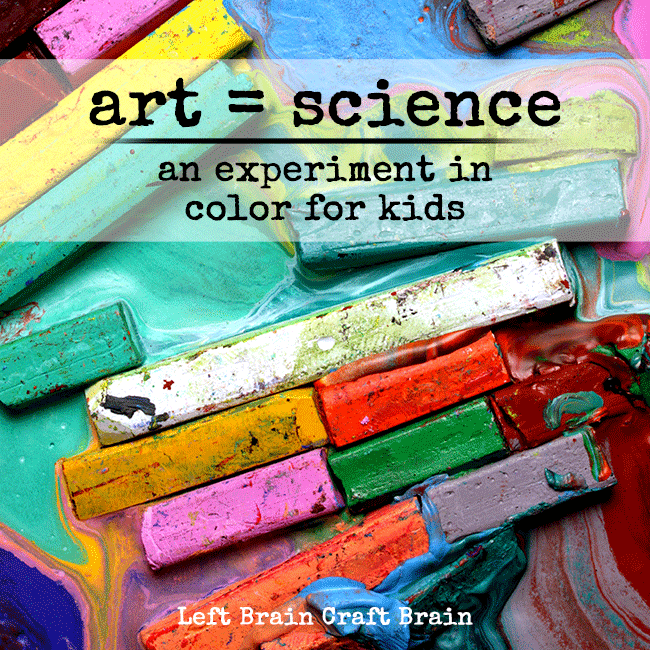 Here’s what we used in this art = science project. Terrific Ideas and projects for my Grand kids and Great Grand kids. 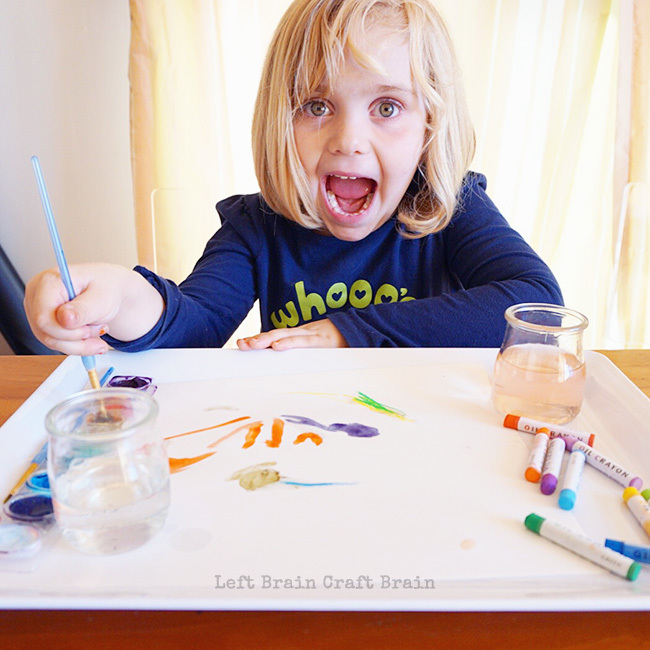 They can have hours of great fun and brain stimulation with these great ideas and projects. Thank you. Have you tried Goo Gone? That stuff is amazing. But be sure to give the cutters a really good wash afterwards.